IMG_8108, originally uploaded by Pink Lady on the Loose!. We took a long walk around our neighbourhood (Poruba) today and I took photos as usual. 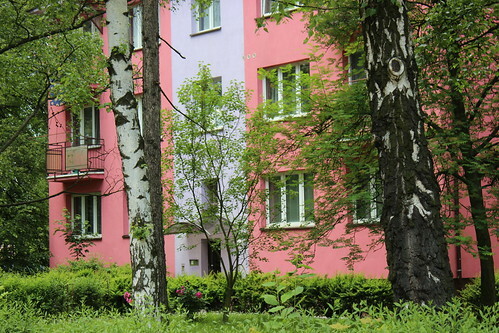 That a lovely paint job on this otherwise ordinary apartment building.